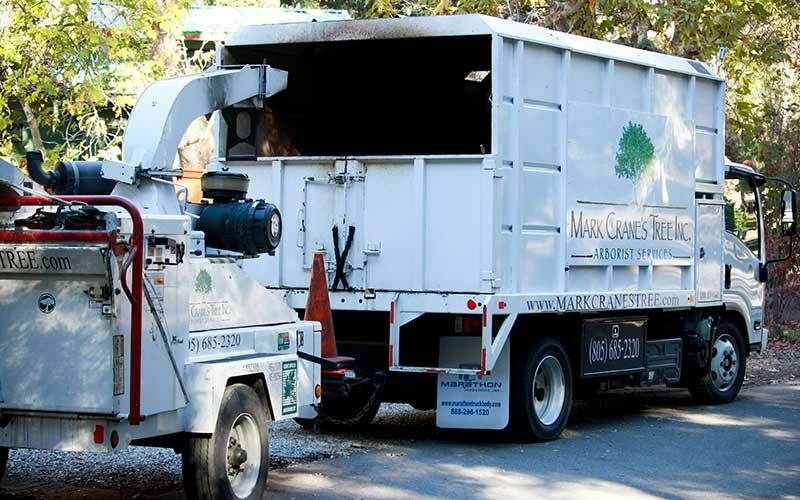 Tree Maintenance Equipment - Mark Crane's Tree Inc. When you think of what equipment is in an arborists’ toolbox, the first thing that comes to mind for many people is the chainsaw. Actually, an arborists’ toolbox is packed with plenty of mechanical and technical objects. When plants stay in containers for too long, the growing roots begin to circle the pot – essentially ‘girdling’ the plant and restricting the water and nutrient flow to the plant. Stem girdling can happen when trees are planted too deeply or in the wrong position, but it can also occur when the tree is planted in compacted soil, or in places where soil obstructions like foundations, curbs, rocks and more can deflect the roots and contribute to tree girdling. 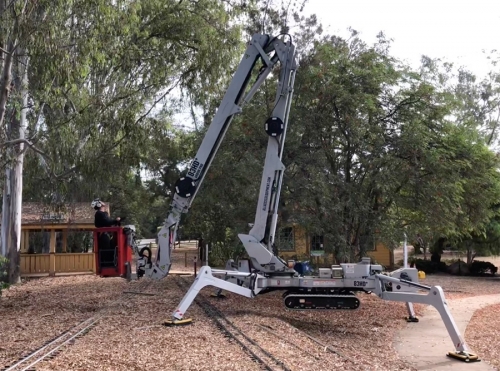 An airknife is used to remove the soil from root structures of trees and other plants. It pulverizes the soil, while leaving the roots intact so we can inspect and remediate the root systems. 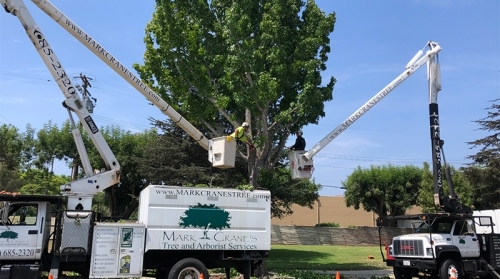 We use technical climbing gear to gain access to the upper branches of trees for reasons of inspection, trimming, pruning and more. Depending on the tree’s position in relation to other objects like power lines, buildings, other trees, etc., the least invasive way to attain access to the crown of the tree may be by climbing. Part of an arborists’ training involves learning how to safely climb trees. In fact, many of the arborists on our team are tree-climbing champions! When climbing the tree is not the safest or most effective method, our team may use our 75-foot aerial lift crane instead. 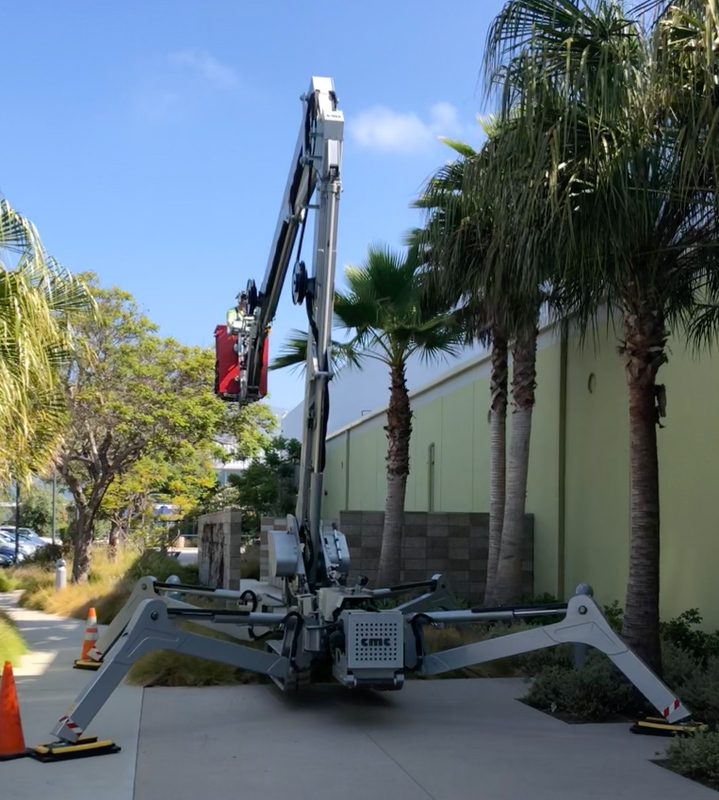 The use of the aerial lift involves highly coordinated hand signals, creating a safe landing zone for branches, safe vehicular and pedestrian traffic control and ground worker safety. Our certified arborists have extensive experience in roping the branches to lower them safely, as well as in-air cutting techniques that are arguably quite complex. We carefully analyze the variables in play and create a strategy the keeps everyone and everything safe (including the tree). 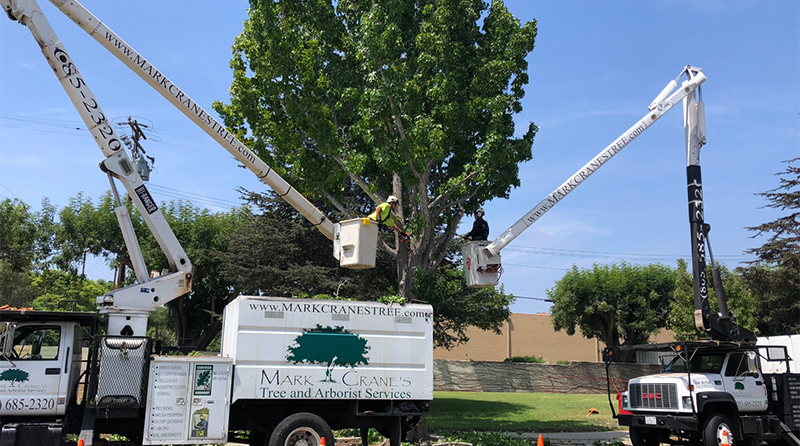 Contact Mark Crane’s Tree Inc.
Mark Crane's Tree Inc. was started in 1995 and we have remained Locally owned and operated since 1995. 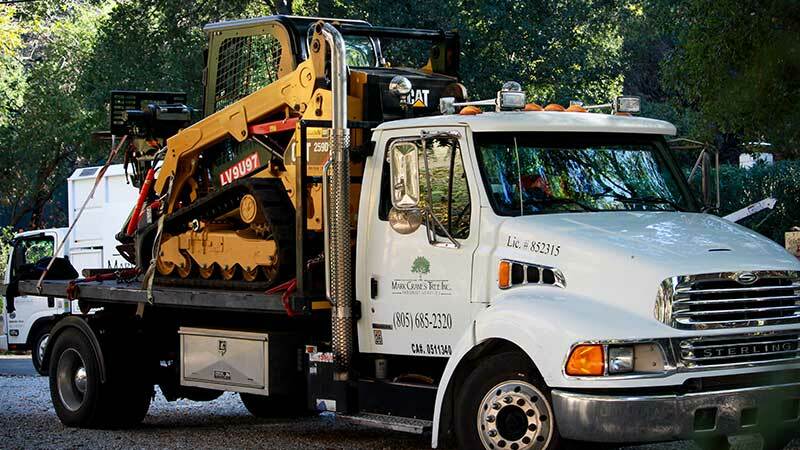 Our company features a highly motivated and well-trained staff of certified arborists that are not only eager to assist you with all your tree concerns, they are also local, experienced individuals. Serving the Central Coast of California: Santa Barbara, Goleta, Carpinteria, Ojai, Ventura.